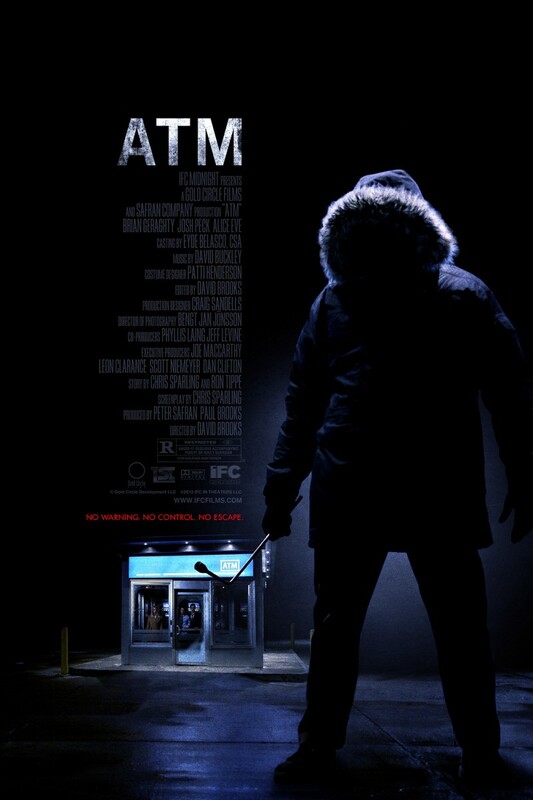 ATM DVD and Blu-ray release date was set for July 31, 2012. David Hargrove and Emily Brandt have decided to leave the company Christmas party as a couple. Their unexpected first date seems harmless enough as they take Corey, their fellow office worker, to a nearby ATM to make a late-night withdrawal. When a dark stranger suddenly appears outside of the ATM kiosk, a routine pit-stop quickly turns into a terrifying struggle to stay alive. With the freezing December temperatures only adding to their problems, and with a sunrise that won’t be a reality for hours, the trio has nothing left to do but play the stranger’s deadly game.